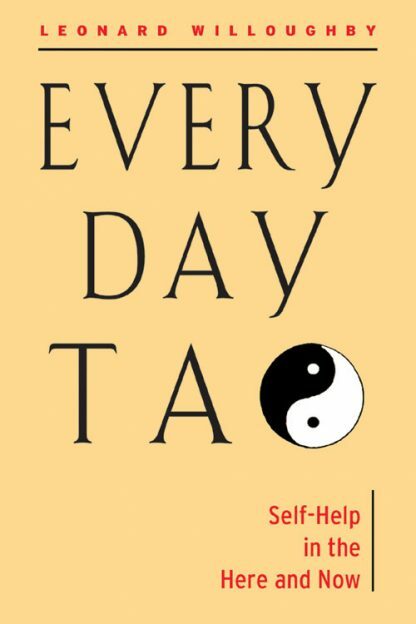 Filled with hard-won personal observations and practical, tested exercises for following The Way, Every Day Tao lives somewhere between the Tao of this and that, so popular lately (good advice, maybe, but is it Taoism?) and the more traditional teachings of writers steeped in academic study and Eastern culture. Leonard Willoughby comes to the Tao as a Western seeker, looking for both a spiritual practice and a method of living. In this book, he frankly recounts his own struggles--with life and with the Tao. He offers a plenitude of suggestions both for understanding and following the Way and for becoming a fully-integrated personality. After his initiation into the Jade Purity School of Tao, Willoughby's teacher suggested that he write a book on philosophical teachings of this particular school--for Western seekers like himself. You might say this book answers the question: If Tao is the Way, where are we going? In Part One, the author explains the Way, Tao, in simple terms for western minds. In Part Two, Te, or Virtue, he gives readers the advice, stories, and skills they need for the journey. How to give up negativity, perceive reality, practice self-forgiveness and self love. Plus advice about celibacy and sexuality, and more. In Part Three--Sam Ching--Three Realms of Being--the book culminates in the answer--we're going home to our True Selves.